Last week we were reminded of a time, 40 years ago, when a female tennis star, a young Billie Jean King, defeated Bobby Riggs in the tennis match that was promoted as the Battle of the Sexes. It not only was the first sports victory of its kind for a woman, but it also symbolized the possibilities for women as the Women’s Liberation Movement was gaining momentum in America. The event led to the founding of the first Women’s Tennis Association by Billie Jean King and pay equity for women and men tennis competition winners. Many of you were not around in those days and, if you were, you do not remember the King-Riggs face-off. Although 55 years old at the time, Riggs came out of retirement to challenge King, one of the world’s greatest female players, to a match, claiming that the female game was inferior and that a top female player could not beat him even at the age of 55. Maybe you have seen some of the recent media reports commemorating that match and, like me, have been proud of the advances for women in the last half century. Sometimes we concentrate too much on the “woes” that I reported in this blog recently. One news report caught my attention particularly. In an effort to put things in perspective, the reporter informed viewers that, at the time of the King-Riggs Battle of the Sexes, women were not allowed to have credit cards in their own names. Women had the right to be included as users on their husbands credit cards, but they could not establish their own credit and could not be issued their own cards. Did you know that? Can you even imagine it? I can still recall the moment that I discovered it and my reaction. 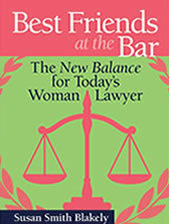 In 1980, when I was new to private practice, I had the opportunity to represent a corporate client on issues related to women’s credit rights. I was amazed to learn that, until the passage of the Equal Credit Opportunity Act of 1974 and the amendments of 1976, a woman had no opportunity to establish her own credit history and identity. In fact, because a married woman’s credit was solely defined by her husband’s credit, if she divorced, she had no credit rating at all—-not to protect herself or to protect her children. This seemed completely unimaginable to a young woman attorney, whose wallet was full of credit cards with her name on them. 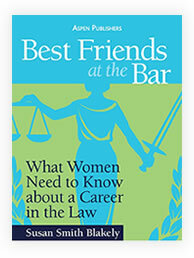 My disbelief and amazement led to a law review article, “Credit Opportunities for Women: The ECOA and its Effect,” that was published in the Wisconsin Law Review (Volume 1981, Number 4). 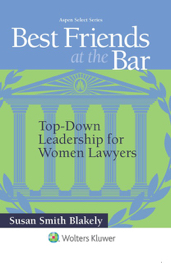 At that same time, I also delivered a paper on the subject at a conference at Georgetown Law attended by law students and faculty and members of the DC Women’s Bar Association, and it was clear to me from the podium that the audience members were as shocked as I to learn how close they had come to not having these rights that we all were taking for granted. Although I take pleasure in hearing the media commenters describe the King-Riggs match and its impact on the world of sports, I know that the most important thing about that story is where we were as women in 1973 and where we are as women now. Billie Jean King did us all a favor, and we need to return the favor by celebrating her victory, understanding its significance, and protecting the future for women. 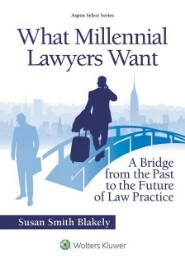 This entry was posted in Career Counselors, Law School Educators, Law Students, Pre-law, Young Lawyer. Bookmark the permalink.